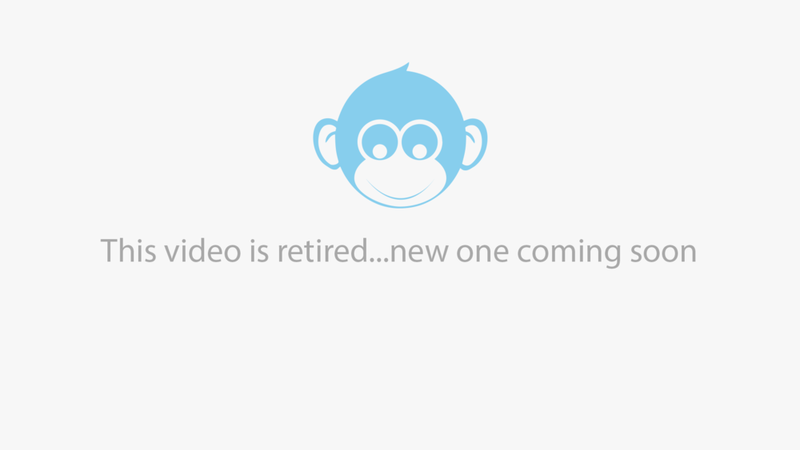 Learn how to use the Quick Style Wizard on your Monkey Business website to make precise design and style changes for anything and achieve the unique, custom look you need fast. When it comes to fully customizing your custom design theme, the Quick Style Wizard is the tool you need. 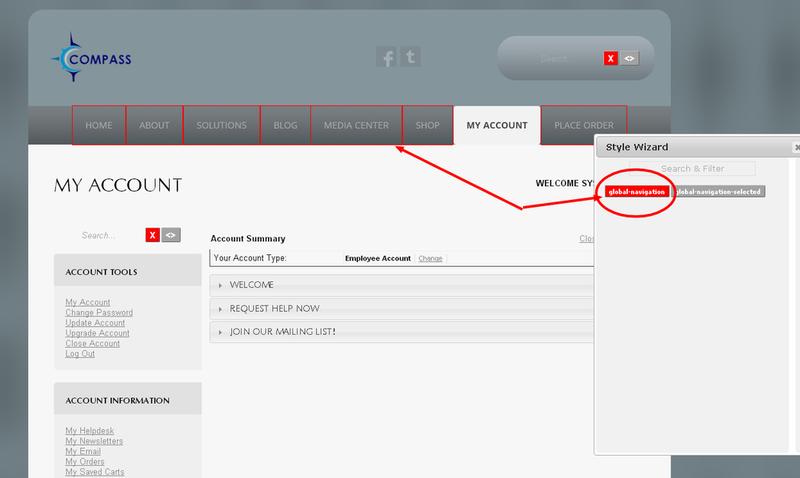 The Quick Style Wizard allows you to target and design any part of your custom design, on any page. Performance optimizations are automatically disabled by the Quick Style Wizard tool, whenever you start to make style and design changes. You should always activate performance optimizations when you are done making design changes. Whereas the Style Wizard in the previous article provide you with the tools to activate and customize the major and global elements of your custom website design, the Quick Style Wizard is all about detail design and style of highly targeted content. To activate new themes, install fonts, and so on, you need to use the Style Wizard. For everything else, use the Quick Style Wizard. The Quick Style Wizard can be launched from the Shortcuts Menu, which will create Targeting Selectors for all the content on the webpage, which may be a performance issue for webpages with a lot of content. Most of the time, you want to launch it from the Content Flyout Menu of the content you want to design by selecting the sW option, so you only have Targeting Selectors for just the content you care about. The Quick Style Wizard, much like the Monkey Business Editor's Style Wizard, has a Targeting Screen and a Styling Screen. Using it is the same, you Target and Select content in the Targeting Screen, and switch over to the Styling Screen to make design and style changes. 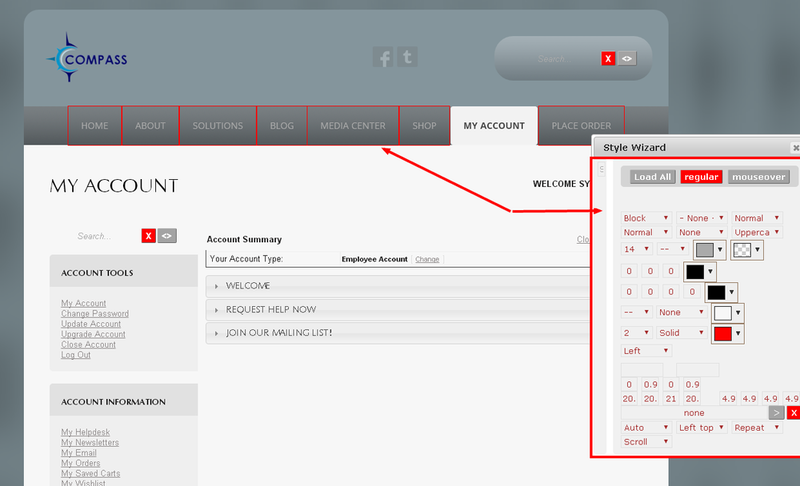 To make design and style changes, simply switch to the Styling Screen. Switching between the Targeting and Styling screens of the Quick Style Wizard is easy. 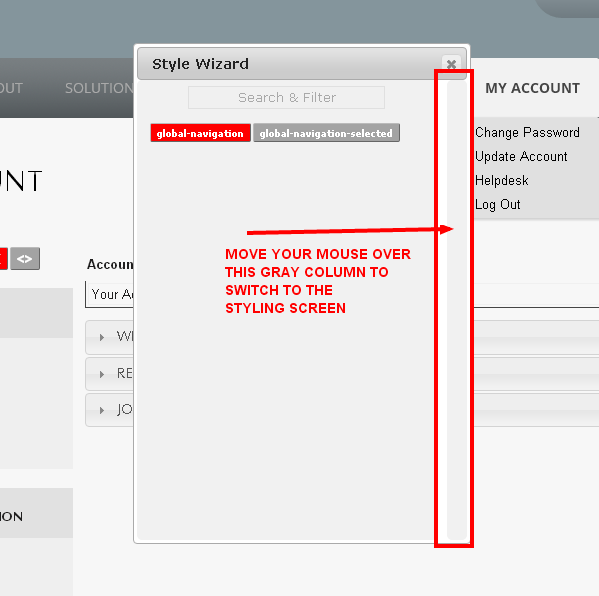 On the Targeting screen, move your mouse over the gray column on the right side of the Quick Style Wizard to switch to the Styling Screen. 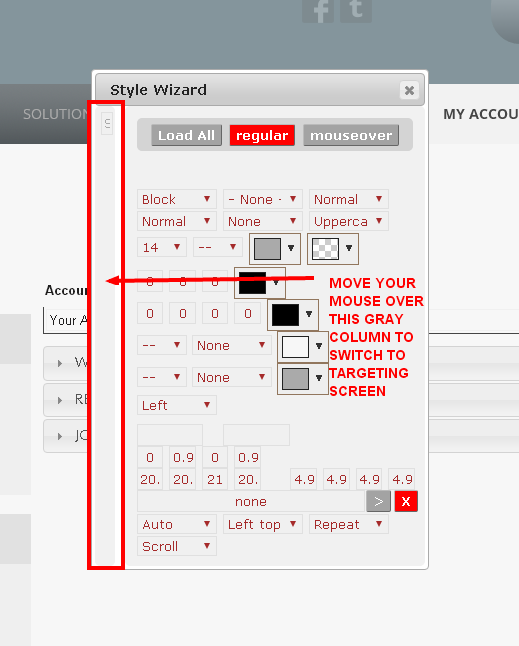 On the Styling screen, move your mouse over the gray column on the left side of the Quick Style Wizard to switch to the Targeting Screen.